WASHINGTON — The National Pharmaceutical Council (NPC) today announced that Richard Bagger, executive vice president, corporate affairs and market access, Celgene Corp., has been elected chair of NPC’s board of directors for 2018-2019. Bagger has previously served in several leadership roles at NPC, including as vice chair and treasurer. Bagger has been with Celgene since 2012. 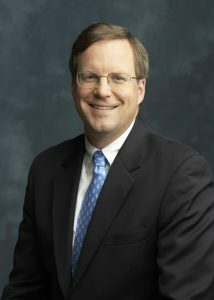 As a member of Celgene’s executive committee, Bagger is responsible for advancing patient access to Celgene therapies and driving recognition of the value of Celgene innovation through communications, patient advocacy, government relations, public policy, market access, global health and corporate responsibility activities around the world. Bagger has broad experience in both health care and public policy, having worked previously at Pfizer Inc. and Horizon Blue Cross Blue Shield and having served as both a New Jersey state legislator and as chief of staff to the Governor of New Jersey. • Mark Nagy, vice president, global patient outcomes and real world evidence, Eli Lilly and Company (immediate past chair). In addition to the executive committee, the Board of Directors made appointments to two standing Board-level committees. Dr. Steven Romano, executive vice president and chief scientific officer, Mallinckrodt Pharmaceuticals, will serve as chair of the board-level research committee, and Christine Marsh, vice president, market access, Boehringer Ingelheim Pharmaceuticals, Inc., will be chair of the strategic advisory group. The committees provide input to the board on research projects and strategic guidance, respectively.